BIBLE STUDY FOR TODAY: PSALMS CHAPTER 24: verse 1-10. Praise and Worship session precedes now. Ask God to forgive your sins ans plead the blood of Jesus for your cleansing. 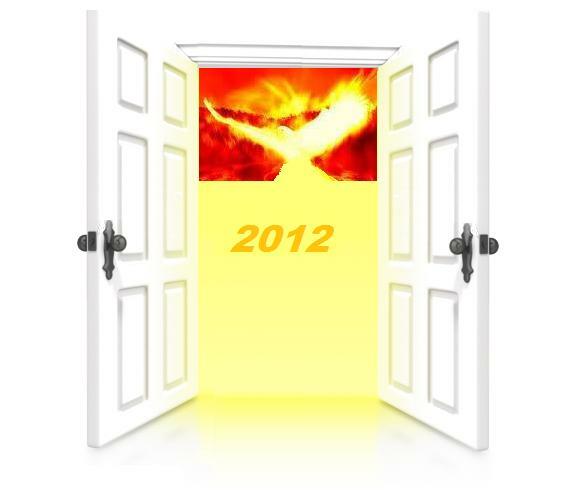 Bring quality gratitude to God for making you to cross-over into year 2012. Appreciate Him with thanksgiving for crowning you with His tender mercies and Glory as well as making you His battle axe in the battle of the gate 2012. Draw divine strength and grace to follow through the next 21 days of prayer warfare for victory at the battle of the gate 2012. Ask the Lord to remember His covenant and bring you out of any trouble you are going through now, vow that you will serve him better this year than any year in the past. After the praise and worship session, go with volcanic anger into these 12 prayer points for DAY 1. Pray it at midnight and midday. Pray it during the day too. couple it with a 12-hour fast (12 midnight to 12 noon), you can go further till 6pm if you have the grace, all I know by the assurance of faith in the awesome power of God that never faileth is that you will not come out of this encounter the same way you enter it, in the name of Jesus. God bless you as you read the scriptures, confess the word of God and pray in Jesus’ name. It is written (Psalm 78:26), “He let loose the east wind from the heavens and led forth the south wind by his power.” therefore, by the Power of the East Wind, I UNLEASH the angels of POWER from Heaven to assemble in battle array and help me as I draw the battle-line and declare open the 2012 edition of the BATTLE OF THE GATES!!! in the name of Jesus. It is written (Exodus 11:4-6) “Thus saith the LORD, About midnight will I go out into the midst of Egypt: And all the firstborn in the land of Egypt shall die, from the firstborn of Pharaoh that sitteth upon his throne, even unto the firstborn of the maidservant that is behind the mill; and all the firstborn of beasts. And there shall be a great cry throughout all the land of Egypt, such as there was none like it, nor shall be like it any more.” Therefore, I possess every gate of the Pharaoh assigned against my destiny this year 2012, let the symbol of his strength and backbone B-R-E-A-K and be wasted by the blood of Jesus!!! My Father, GO THROUGH this leap year 2012 and KILL every spiritual assassin hired to kill my glory!!! in the name of Jesus. With the Finger of Fire, I point to every herod assigned to slaughter my destiny and opportunities at the infancy of this leap year 2012: WITHER AND BE EATEN UP BY WORMS!!! in the name of Jesus. King of Glory! LORD of HOSTS!! My life is available ONLY for YOU, therefore: ENTER BY FIRE!!!!!!! AND CHASE AWAY EVERY DARKNESS programmed to hinder my full glory this year 2012!!! in the name of Jesus. It is written, (Psalm 24:7) “LIFT UP your heads, O ye gates; and be ye lift up, ye everlasting doors; and the King of glory shall come in” therefore, I speak to the invisible and visible gates of 2012 assigned shut me out of my glory and honour this year: BE YE LIFTED UP BY FIRE!!! and I shall collect and wear my crown of glory and honour in the name of Jesus. By the power that pulled down and C-R-U-M-B-L-E-D Jericho walls and its gates, Let every stubborn barricade and obstacle erected on my path to greater glory and honour this year C-R-U-M-B-L-E TO DUST NOW!!! in the name of Jesus. Evil gates of my father’s house! Dark gates of my mother’s house: This year 2012, I am not your victim!!! therefore: R-O-A-S-T!!! in the name of Jesus. Every evil altar built to cry against my fruitfulness and promotion and glory this year, I am not your candidate: SHUT UP BY FIRE!!! in the name of Jesus. I take hold of the horns of the altar of fire and cry unto the God of vengeance to avenge me of all my adversaries this year 2012!!! in the name of Jesus. It is written (Psalm 118:27) “God is the LORD, which hath shewed us light: bind the sacrifice with cords, even unto the horns of the altar.” therefore, I bind myself like a living sacrifice to the holy altar of power with the cords of God’s Word, fervent prayers and sacrificial fasting, let fire fall from heaven and consume every problem I drag to this altar within this 21 days, in the name of Jesus. It is written (Genesis 49:10), “The sceptre shall not depart from Judah, nor a lawgiver from between his feet, until Shiloh come; and unto him shall the gathering of the people be.” therefore, O God Arise and baptize me with Your Shiloh anointing, let my sceptre of glory appear! appear!! appear!!! and magnetize my destiny breakthroughs to me!!! in the name of Jesus..
By faith, reach out and begin to thank God for the fearful answers to your petition granted in this Day 1 session of the battle of the gate, in the name of Jesus. Shout 21 glorious halleluiah!!! 30 Comments on "Day 1: Battle Of The GATE 2012 Prayer Points"
Blessed be the Lord who counted me worthy to be a partaker of this programme. I bless the lord who has enabled me to be part of this program and indeed am seeing HIS mighty HAnd work in our lives. i thank God to be Part of this programme,Amen….! I praise the name of the Lord for being alive to witness this and strongly believe that my portion of the testimonies is here. My family also will be blessed. i thank God to be part of this programme, Amen…..
i bless d great God of heavens who lead me 2 dis great site. I believe with so much faith in me that my testimony has started and i pray dat all dat shall partake of dis prayrs wil av earth shaking testimonies 2 d glory of God. Amen! I bless d Lord 4 ur life friends. @djonwang thomas: If u can help translate it to French language, it is possible. thanks. Lord Jesus i Thank You, Bless you and praise you for making me a partaker of this programme. Oh Lord cover us with your crown of Glory in Jesus name. i give the Lord all the glory, during the recent marathon it was my first time to fast for a long time and i must admit in the first place i thought i would not manage but as the days progressed i felt connected to God and on the 9th day God revealed the most secret thing about my then fiance,, he is legally married but he was hiding it from me..I gave and still give God praise because he set me free and helped me to move on with his joy as the source of my strength..Thanks again to the organizers of this marathon, am so eager to learn more secrets from God for the betterment of my crown of glory.AMEN! God bless you as you do so. Amen. Amen. i thank God for this program of fasting that started in Dec 2011. i have been so much blessed. i used to have difficulties to fast and but now my fasting life has been improved. i thank God for this transformation in my life. i also thank him because i have experienced a breathrough. I was not aware when this prayers begun. Is it ok is I begin from day one even if am behind? I thank the Lord almighty for giving me the opportunity to seek Him for the 21 days with the guidance of these forum. God bless you Dr. Olukoya as you lead the sheep back to their rightful postion. Thank you Jesus, Thank you Jesus, Thank you Jesus!!!! I have started this prayer session again as i fell short in the past week and feel i need to complete the whole 21 day prayer and fasting session. This is also going to be the first time i have fasted in a long time. I am in need of alot of things in my life, clarity ,a job/internship, good friends, a man. I have been feeling really down because I seem to be the only girl who doesnt have a good God seeking man. It has been bugging me for a while now but i am optimistic the Lord will show me why and also provide me with one. Indeed God will move in the lives of many through this program. We Thank GOD for such inspiring and life changing fire prayer points. lets keep spreading the gospel and encouraging our fellow believers as well as those that are not yet saved . This might touch someones life and they become saved . Soul wining is one of the great responsibility GOD has given us that we should be the salt of the earth and have meaning where ever we go . we ought to preach the GOSPEL. so we thank GOD for such on internet. The very 1st day i started praying these prayers,at around 1 am the Lord spoke concerning my wife’s illness and that she will recover without any other surgery and it has come to pass,she has recovered.I praise God everyday for indeed He is my Psalms 46:1 God.I love you Father. I like i like i like this website is powerful.i love it hey.